I have a confession to make. I like Tarzan. What does that have to do with The Lone Ranger? Bear with me… Some of the properties that I grew up on can seem, in retrospect, let’s say, “racially insensitive.” So, there is more than a bit of consternation on my part when, periodically, Hollywood produces a new take on certain properties and, more specifically, characterizations that were offensive even when they were first presented. 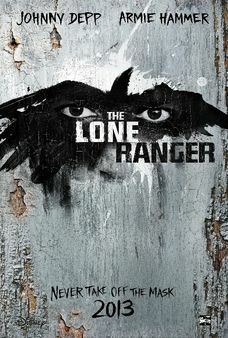 I knew that Disney was producing a new Lone Ranger movie. I was dubious, but hopeful that this could be an opportunity to introduce the character to a new generation, while avoiding some of the more unfortunate depictions of Tonto, the Native American partner to the Ranger. Then I started seeing the trailers. Sigh. 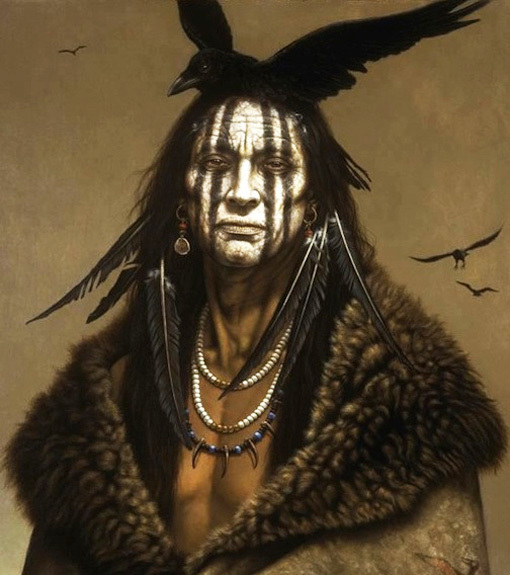 Immediately prior to the film’s release, Depp was quoted that he had discovered he was, possibly, part Cherokee and/or Creek and related the inspiration of the Tonto facepaint: artist Kirby Sattler’s painting, I Am Crow. The artist himself admits that, “the portraits I paint are composites created from a variety of visual references coupled with my imagination.” And this is, also, my ultimate finding with the film. The filmmakers have taken the veneer of a popular property and arbitrarily put together a story that they felt those images told. The result is two hours of Depp in redface and the supposed title character reduced to the stumbling, yet eventually successful sidekick. 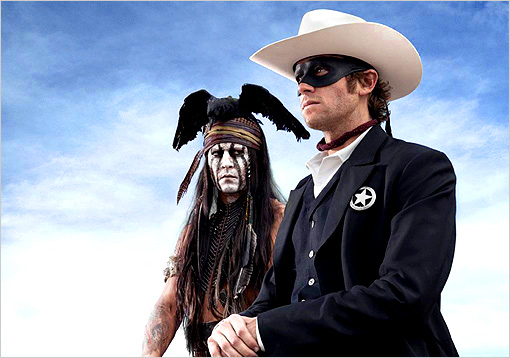 The Lone Ranger really is the racially insensitive, insulting and, ultimately, dumb movie you probably think it is. And no matter how long you play the William Tell Overture on top of it, it isn’t disguised as anything else. Reblogged this on Tragic Fanboy.